The P2V air tanker that had the 24-inch crack in a wing spar and skin, causing the FAA to issue an Emergency Airworthiness Directive in February, still has not been repaired and it may not return to service. Dan Snyder, President of Neptune Aviation which operates the aircraft, designated Tanker 10, told Wildfire Today on Wednesday that he is not sure if it will fly again as an air tanker this year. Of the nine P2V air tankers that Neptune has on contract with the U.S. Forest Service, Tanker 10 will be the last to go through their off-season maintenance cycle this year. When the mechanics get to it, they will evaluate what it will take to make it airworthy again, and then the company will make a decision about the its future. If it can’t be repaired, Mr. Snyder said it will be replaced with another air tanker, probably a jet-powered BAe-146. He said additional BAe-146s are presently being converted from airliners to air tankers, like Tanker 40, which was converted by Tronos and leased to Neptune. When asked if the additional air tankers are being built at Neptune’s facility in Missoula or at Tronos’ hangars on Prince Edward Island, Mr. Snyder would only say they are being built in “various locations”. 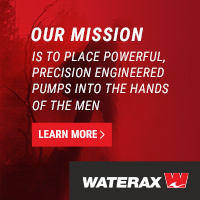 According to Mr. Snyder, Neptune is being proactive in acquiring additional “next generation” air tankers that are newer than the 50+ year old P2Vs, even though they do not have a contract yet for anything other than the nine P2Vs currently under contract, plus interim approval for Tanker 40. Tanker 40, the BAe-146, is young compared to the P2Vs, but it is no spring chicken, entering service in 1986. Tronos installed a tanking system that may be a one-of-a-kind; a cabin-pressure-assisted gravity drop design. According to the official U.S. Forest Service Airtanker Drop Test Report, produced after tests in July, 2011, the aircraft uses three to six psi of positive air pressure in the cabin of the aircraft to help push the retardant out of four nozzles. Other pressurized systems, such as those used on Evergreen’s 747 and the military C-130 MAFFS, use 20 to 100 psi created by on-board air compressors. In the BAe-146, after a retardant drop, the USFS report says the lowered air pressure is slow to replenish. The system produced drops meeting all line length requirements, but failed to produce consistent results for all coverage levels with any volume released. Additionally, pattern quality generally suffered when the aircraft released all the retardant onboard; analysis indicates that the aircraft would generally produce acceptable pattern quality on the grid if the final 400 gallons of any load was not released. During the tests ground personnel unfavorably evaluated the tank’s fill system. The Interagency Airtanker Board only gave the aircraft “interim approval”, rather than full approval as a federally contracted air tanker. We asked Mr. Snyder for more details about the BAe-146. He said “air pressure was not a factor in the delivery of the retardant. The problem was the trail off on half load drops, this is the issue we have been working at addressing the past winter.” He said he “can’t provide specifics due to the proprietary nature of the tanking system”. We found nine flight plans for the BAe-146 originating from and landing back at Missoula, most lasting 17 to 49 minutes, that were filed between March 2 and April 2. Minden Air Corp. is also converting a BAe-146 and hopes to have it flying over fires this year. Tim Christy, the Director of Flight Operations for Minden, told us that the tank system is conventional, consisting of a 3,000 gallon internal retardant tank and a computer controlled constant flow door system which will rely on gravity, rather than a pressurized system, to force the retardant out of the tank. The list of large air tankers on contract this year that we copied from the National Interagency Fire Center web site on March 24 showed 12 aircraft, including Tanker 40, the BAe-146. 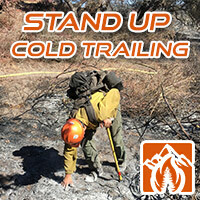 The latest list dated April 4, 2012, below, does not include Tanker 40. We asked Mr. Snyder why, and he was not aware of it, and he did not know why it was not on the list. We asked Jennifer Jones, a spokesperson for the USFS about the list and she said according to their aviation staff, Tanker 40 still has interim Interagency Airtanker Board approval. But the list does include Tanker 10, which as described above, may or may not be repaired. 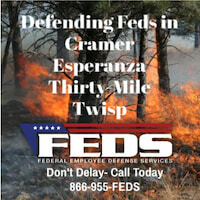 The U.S. Forest Service expects to begin awarding contracts before the end of April from the responses they received to their solicitation for “next generation” air tankers which closed February 15, 2012. The specifications required that the aircraft can hold 3,000 to 5,000 gallons of retardant, be turbine-powered, and cruise at 300 knots. Since the contracts for the existing 11 “legacy air tankers” expire at the end of this year, it is probable that the U.S. Forest Service will issue a solicitation for the older air tankers before the 2013 fire season. It is unlikely that a large number of next-gen air tankers can be put on contract in 2013, so we may have to keep the 50+ year old war birds flying for a least a few more years. But, it is tough to predict what the USFS will do when it comes to managing large air tankers. 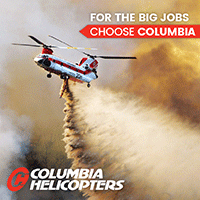 Requirement for two multi-engine, amphibious, water scooping, tanker aircraft in support of water application for fire suppression missions. 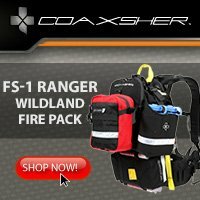 …Services shall be for the exclusive use of the Bureau of Land Management, Bureau of Indian Affairs and U.S. Forest Service in support of wildland fire suppression in the State of Alaska and the Lower 48 States. Restored US Navy HU-16C, built June 1953. Wikipedia. Marsh Aviation may be converting amphibious piston-engined Grumman HU-16 and G-111 airframes into turbo-prop, amphibious air tankers. If “Marsh Aviation” sounds familiar to you, it’s because the company converted 23 military surplus S-2 airplanes into air tankers for CAL FIRE, and eventually replaced the piston engines with turbine engines, making it possible for the aircraft to carry 1,200 gallons of retardant. 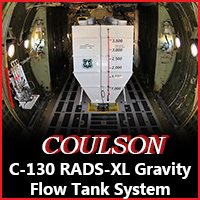 Conversion will include the installation of new 1,400 US gallon (5,300 litre) retardant tank with an automated control system operating a variable quantity/constant flow release system, major titanium modifications to the load-bearing airframe, the installation of a quick-change cargo/passenger floor, new Honeywell TPE331-14GR/HR turbo-prop engines, new EFIS cockpit, new electrical system including new starter-generators, new hydraulic pumps and an upgraded hydraulic system, as well as such optional features as an APU. Where’s FDR when we really need him? A car in every garage, a chicken in every pot, and an Air Tanker at every tanker base (or wannabee tanker base). A good living wage, good health care coverage for all, retirement benefits, bridges and hiways, affordable higher education for the masses, freedom from government and low taxes (especially on businesses and mega-rich folks).We are the entitled generation, we deserve it, and we can have it all, just like the folks in Greece, Spain and Portugal.Let’s borrow some more money from the Chinese and custom-design a new fleet of air tankers – the price be damned, let the next generation of taxpayers bear the cost. That will end today’s quasi-political diatribe on the air tanker issue! Thank you. Obviously, Emmett, you don’t like airtankers. Other than that, what is your suggestion to improve the situation? Should we reduce the 11 air tankers down to 5? Or to 3? Or eliminate them entirely? No George, I really do like Air Tankers: I’ve been thru S-378 and flown as Air Attack. But I like lots of things except the limited $$ we have for all or our societal wants, and want to know what we give up? It is very unlikely that Tanker 10 will every fly again. The only way to fix the spar is to change the whole center section wing spar. That will involve removing the tank, engines, and the whole wing from the airplane. With the P2s coming up on their flight hour limits I don’t think Neptune will want to invest that kind of money in bringing Tanker 10 back into service. This whole tanker problem is getting more absurd as time goes by. Go back and read the Blue Ribbon Panel suggestions. I think they had it right the first time they formed a committee. If enough committees look into this problem, one will come up with an outrageous plan that will cost ten times what it should and be impossible to carry out in time to save a tree, town or gopher! That will be the plan they go with. Then blame the committee when it’s budget triples in cost. 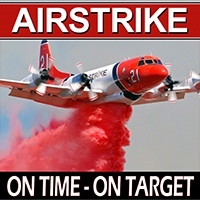 Without a doubt it is time to update our airtanker fleet. That said, it will be a sad day in my book when these old tankers stop flying. Firefighting saved a lot of these old warbirds from the scrapper. Everything has tripled in cost in aviation since the BRP (BURRRP). Funny thing is: IF they had it “right ” the first time and some REAL aviation professionals running a program…the USFS MIGHT have had their verrrry first C130J today! As it stands now…..well… reengining S2 ‘s and HU16 Albatrosses seem like a good idea……but wasn’t the USFS trying to steer away from all this “old military iron?” That was this week. BUT maybe next week the HU16 will probably have those rengined with TPE 331’s and CalFire will operatin’ ’em!! HOOOOLd on for an exciting season and upcoming contracts. Maybe Lockheed will donate 2 ‘130J’s for a very LARGE tax deduction with strings attached !!! Tanker 10 had a crack in the HAT section just inboard from recip #2 in 2002. It was discovered around July 1st, and it sat out the rest of the season in GJ. It was repaired and returned to service for the next year. That prompted further inspections and I discovered a crack in the same spot on T140 the same day. These are not new issues, they are why I am an EX tanker pilot. I know they move around as a national resource but i’m not going to complain about having three in Oregon.